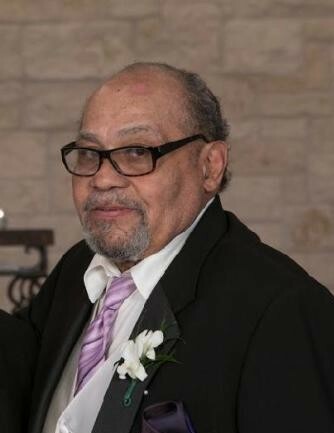 Paul V Preston, 71, passed away on March 29, 2019 at his residence in Kansas City, Missouri. Paul was born on July 12, 1947 in Kansas City, Kansas to Wilbert Preston Sr and Hazel (Barnett) Preston. He graduated from Central High School in 1965 and enlisted in the United Sates Air Force that same year. Paul was honorably discharged in 1969. Paul worked as an electrician for Union Pacific and Santa Fe Trail Railroad Companies. He loved his family tremendously and was known for ‘giving the shirt off his back” for anyone whom he came in contact. Paul was preceded in death by his wife, Georgia Preston, both Parents, one Sister; June Eileen Terry and one Son, Kyle Horne. He leaves to cherish in his memories, two Children; Marlon and Shysheena Preston, Seven brothers; Wilbert Preston Jr, Richard Preston, Maurice Preston, Rodney Preston, Gregory Preston, Kevin Preston and Cedric Preston, three Sisters; Rose Jenkins, Jo Washington, Beverly Preston and a host of nieces, nephews, other relatives and friends. Funeral services will be held at 11:00 A.M. on Friday, April 5, 2019 at Lawrence A. Jones Linwood Chapel. Visitation 9:00 A.M. Interment Leavenworth National Cemetery 1:30 P.M.